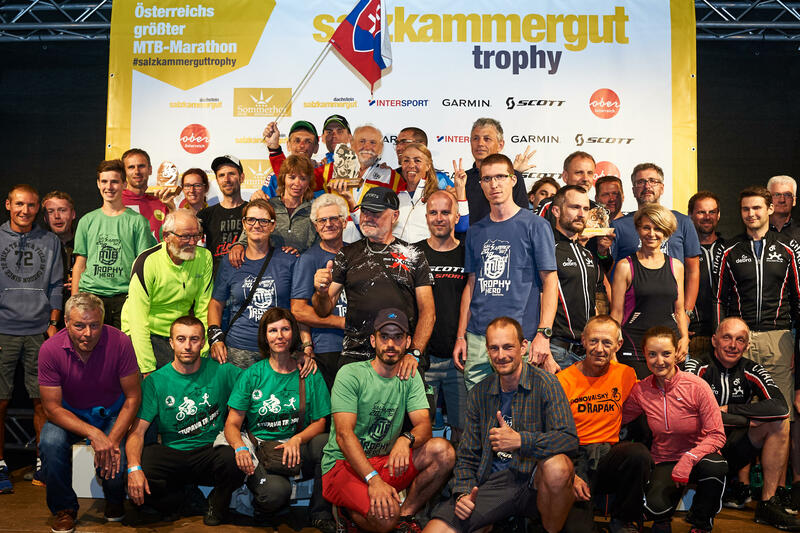 More than 5.000 participants from 40 nations make the Salzkammergut Trophy Austria's biggest MTB marathon. The Salzkammergut dedicates the extreme course to all "Adrenalin Junkies"! 210,2 kilometres and an incredible 7,119 meters altitude difference! The Salzkammergut dedicates the extreme course to all "Adrenalin Junkies"! 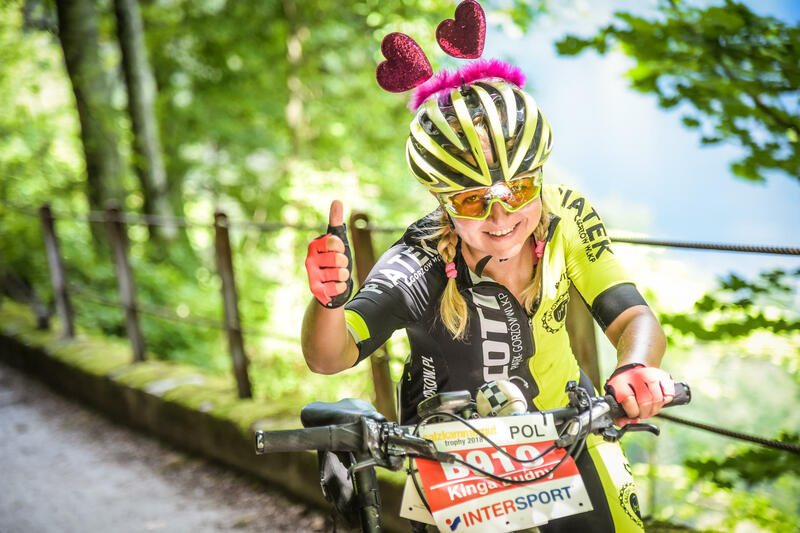 210,2 kilometres and an incredible 7,119 meters altitude difference – welcome to the Salzkammergut extreme challenge and Europe's toughest Mountain Bike Marathon! With a drop-out rate up to 50 %, this course is even daunting for die-hards like Roberto Heras, Wolfgang Fasching, Stefan Danowski, Ondrej Fojtik or Tinker Juarez. Besides an immense physical condition, it also demands great technical skills and mental strength. Last come, first served! The Slow Motion Prize adds up the times of all bikers of a team. The team with highest time scoring in total win. Last come, first served! The Slow Motion Prize adds up the times of all bikers of a team. Then the three teams with the highest time scoring in total win the prizes. This is an advantage to those teams who have lots of participants in the race, who ride the longest courses and reach the finishing line just before the time limit is in effect. Prizes worth more than Euro 20,000,- are waiting for the winners! Everyone can join and win! For us, the organization team, it is particularly important to motivate rookies for the mountain bike sport. For us, the organization team, it is particularly important to motivate rookies for the mountain bike sport. Therefore, besides a broad range of distances, the time limits on the shorter tracks are set in such a way that even bikers with an average of less than 10 km per hour still complete the race. Furthermore numerous of service station along the course invite to take a break and in the finish area a team of masseurs provide for a quick regeneration. No matter if you tackle the 22.1 km Rookie’s marathon (688 m altitude difference), 37.9 km (1,114 m altitude difference), 53.5 km (1,543 m altitude difference), 55.0 km (1,820 m altitude difference), 74.0 km (2,446 m altitude difference) or the 119.5 km distance (3,848 m altitude difference) – every finisher will be cheered like a winner at the finishing line and all bikers have the same chance of winning first prize! After the winners' ceremony, all present bikers take part in a raffle with prizes worth more than € 6500,-!